Porsche returns to the Nürburgring 24 hour race on 25 June with a further developed version of the Porsche 911 GT3 R Hybrid. Priority of the development was given to the improvement of efficiency through the targeted optimisation of hybrid components, which also resulted in a 20 percent weight reduction. Version 2.0 of the 911 GT3 R Hybrid is intended to achieve the same lap times as its predecessor but with less fuel consumption. The electric flywheel accumulator, with its rotor spinning up to 40,000 rpm and retaining the energy mechanically as rotational energy, is now housed with the other hybrid components in a carbon fibre safety cell on the passenger’s side. The new 911 GT3 R Hybrid is a perfect example of the ‘Porsche Intelligent Perform-ance’ philosophy, a principle found in every Porsche: More power on less fuel, more efficiency and lower CO2 emissions – on the race track and on the road. 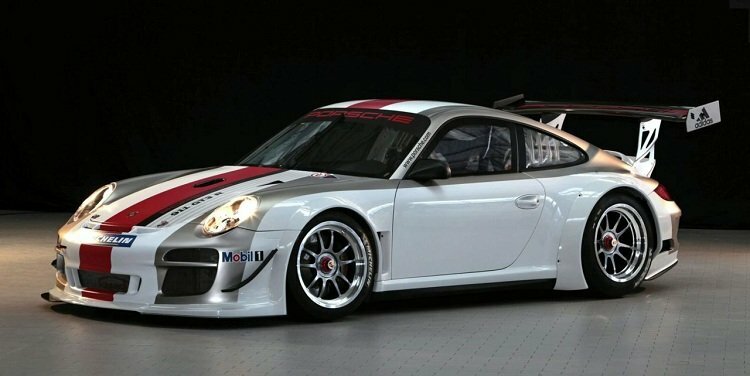 Porsche unveils its latest 911 derivative race car, announces an innovative racing driver development course and introduces its British motorsport programme for 2010 at the Autosport International show at the Birmingham NEC (January 14 – 17). 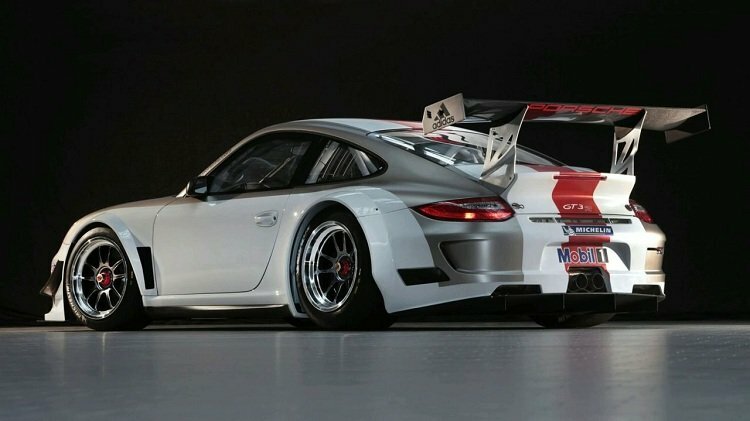 Developed for racing series based on the international FIA GT3 regulations, the stunning 911 GT3 R succeeds the 911 GT3 Cup S and is delivered to customers ready-to-race. 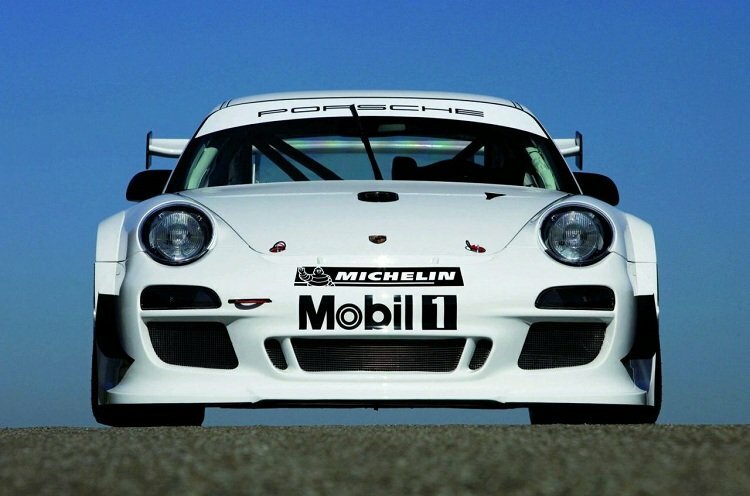 The starting point in developing the GT3 R was the latest 3.8 litre Porsche 911 GT3 Cup, which will compete in the 2010 Porsche Mobil 1 Supercup supporting selected Formula One races. 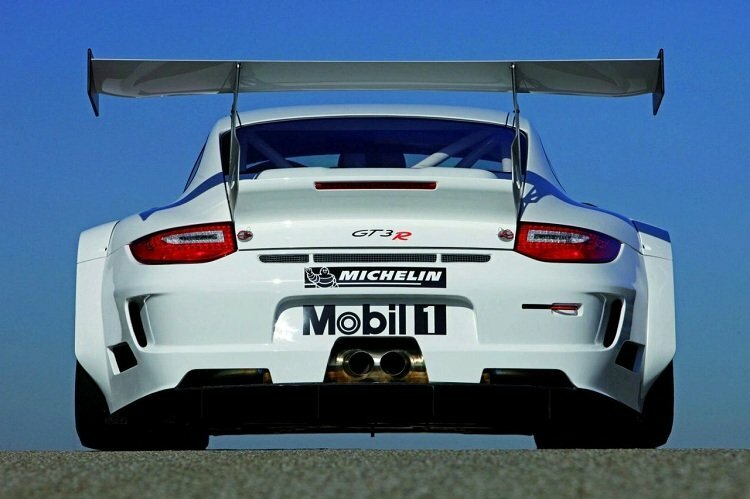 However, the GT3 R – which weighs just 1,200 kg (2,646 lb) – has a larger 4.0-litre six-cylinder ‘boxer’ engine delivering 480 bhp and other technical developments designed to improve the performance of the car further still. For example, an anti-lock braking system, traction control and an electronic throttle with ‘blip’ function on gearbox down-changes make it much easier for drivers to get used to the GT3 R race car than the prior Cup S model, with the consequence that the new car is also more appropriate for the ambitious amateur racing driver rather than purely experienced professionals. The main focus with this new car was to deliver even better driveability and easier handling. 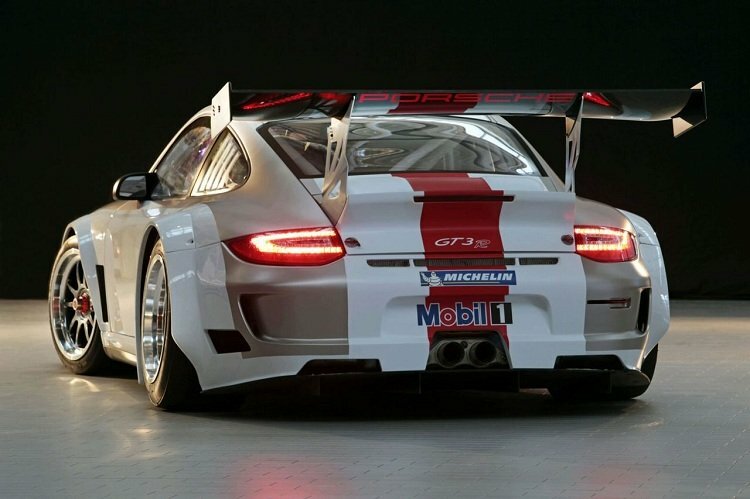 Additional flared wheel arches front and rear emphasise the purposeful, wide track of the GT3 R. And like all second generation versions of the 911, the new 911 GT3 R also comes with striking LED rear light clusters. 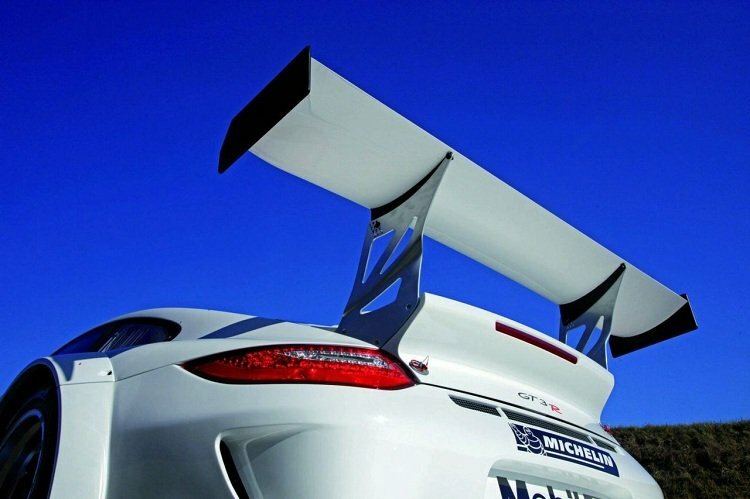 For optimal aerodynamic performance, the underbody of the car is completely covered and features a rear diffuser and, compared to the prior Cup S model, the range of adjustment on the rear wing has been increased. The highly-developed suspension can also be adjusted extensively; at the front are height-adjustable MacPherson struts with variable SACHS two-way shock absorbers and double coil springs (main and auxiliary). 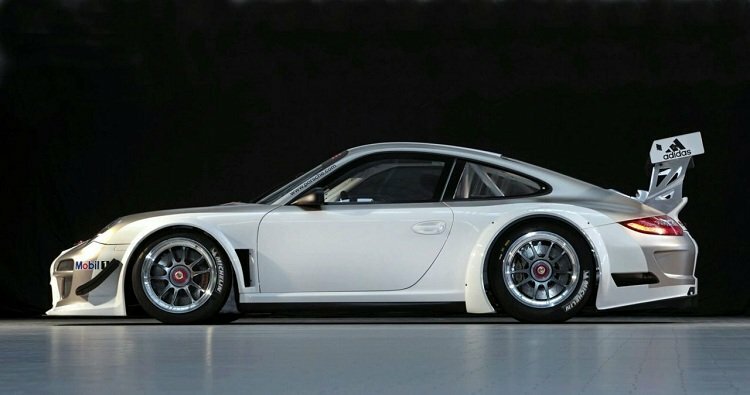 At the rear, the GT3 R features a rigidly mounted sub-frame with a height-adjustable multi-arm axle together with adjustable SACHS two-way shock absorbers and double coil springs.